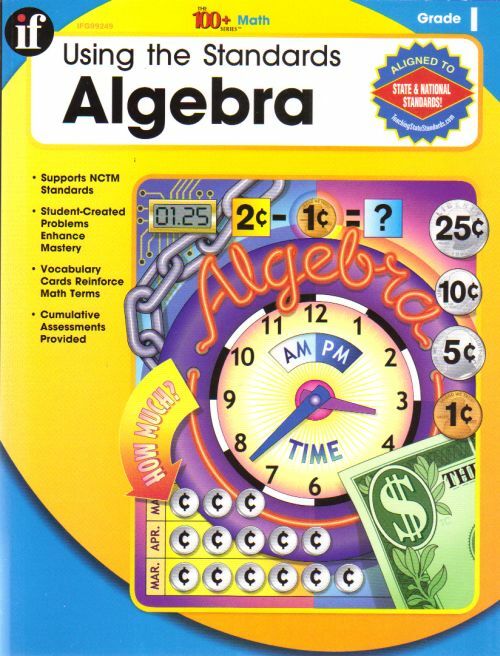 Algebra has never been as approachable for early grades with the activities in this book. The skills support NCTM standards including patterns and function, situations and structures, models, and changes in context. Each activity incorporates at least one of the five NCTM process standards-Problem Solving, Reasoning and Proof, Communication, Connections, and Representation. The vocabulary cards reinforce math terms and the correlation chart and icons on each page help to easily identify which content and process standards are being utilized. Includes a pretest, post test, and answer key. Reproducible.